Two iconic "Punisher" skulls boldly reflected from the center of a black aluminum handle, forming a mirror image of menacing Punisher imagery, give Black Legion's Punisher Skull Reflection Assisted Opening Pocket Knife its dark nature. The knife's dark nature doesn't stop there, however. The deep black, dagger-like 3 1/2" blade flies open at an impressive speed, thanks to the advanced assisted opening mechanism. The potent, stinging spear point blade is forged from tough 3Cr13 steel and it's accented with stylish through holes that run along a cool pattern of exposed naturally colored steel. 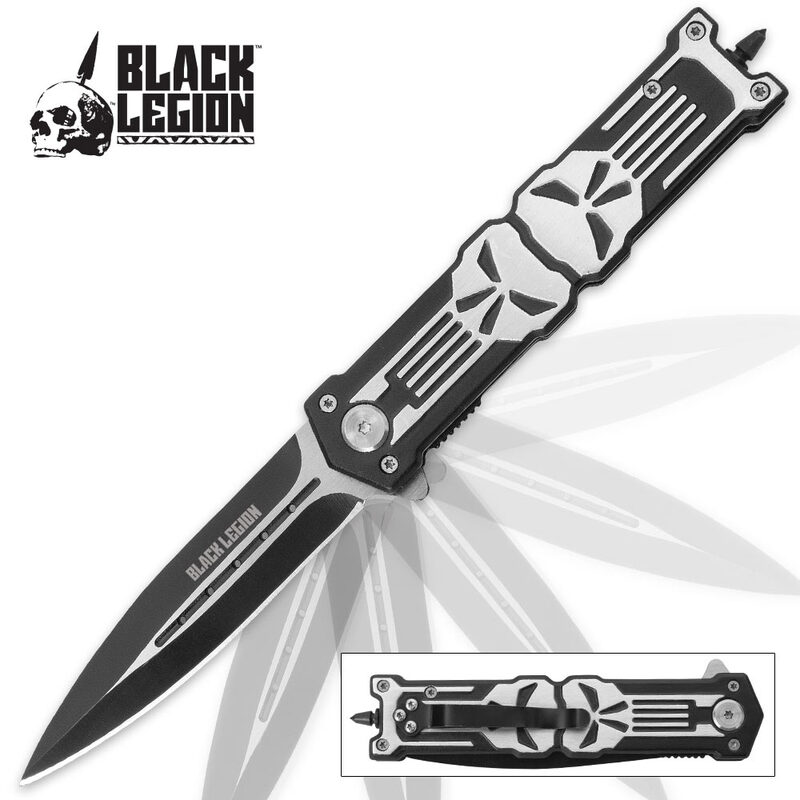 The blade is further offset with the stylish Black Legion logo etched in white. 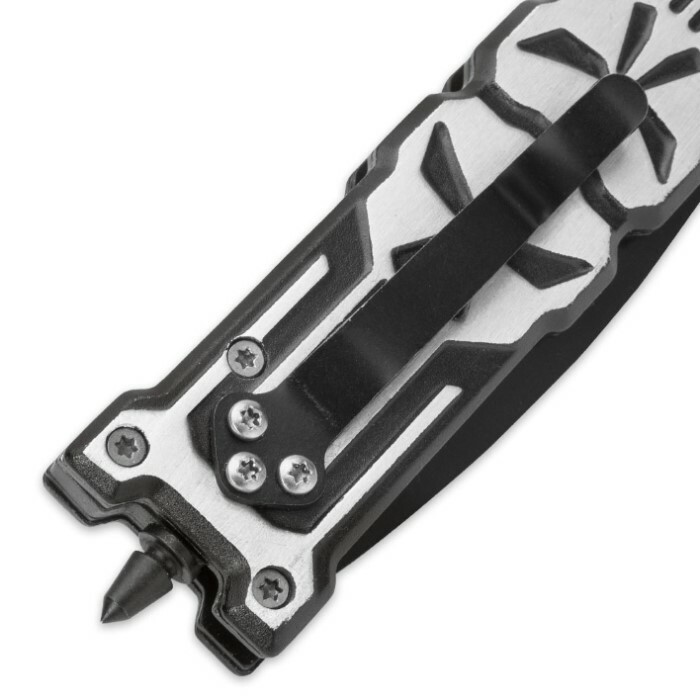 Measuring 5" from the piercing point of the glass breaker to the pinnacle of the chevron-shaped top, the assisted opening pocket knife fits easily in jeans pockets and stays secure with the integrated aluminum pocket clip. 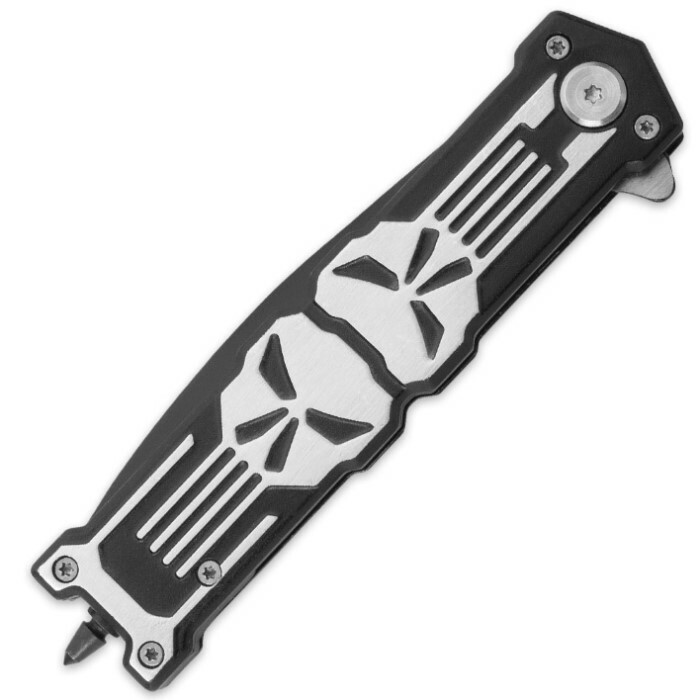 Unleash your sinister side every time you brandish the Dark Reflections Punisher Pocket Knife from Black Legion!